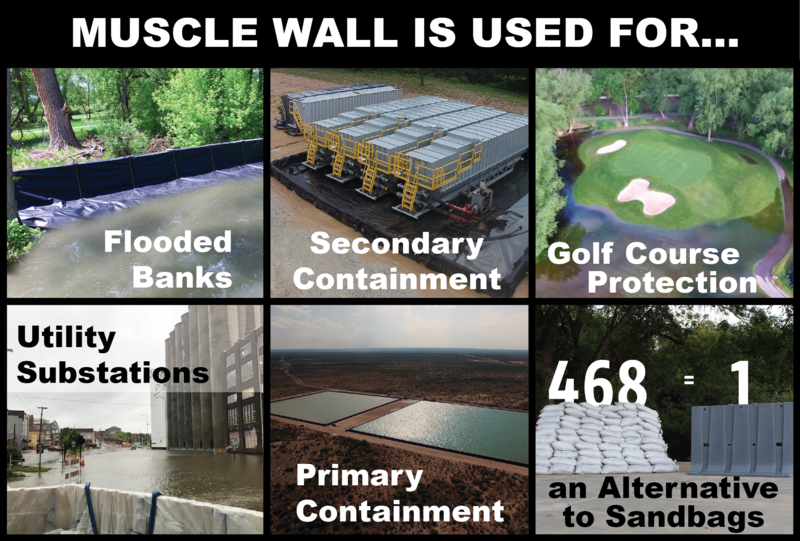 Muscle Wall is a rapidly deployed, portable retaining wall system that effectively combats the threat of floodwater, serves as coastal protection, as well as provides an excellent solution for both primary and secondary containment in the energy industry. Coastal erosion is an ever-increasing dilemma that threatens valuable structures and assets along beaches. Coastal-commissions have difficult jobs in deciding how to best protect natural oceanic ecosystems, while also considering tourism and the properties that are at risk of being damaged by coastal erosion. Muscle Wall is an aesthetically pleasing solution that can be deployed temporarily or permanently without the use of loud and disruptive heavy machinery. With Muscle Wall consisting of multiple 6-foot sections it has the ability to be customized to fit the needs of your particular location. One of the many benefits of the design of Muscle Wall is that during a flooding event the walls can be floated into place WITHOUT heavy equipment, connected together, and sunk by filling them with the very water they are protecting against. This allows Muscle Wall to quickly protect homes and businesses from the devastating and costly impacts of flooding by both CONTAINING and DIVERTING not just water, but also other materials as well. "The disadvantages of sandbags are high disposal costs and a tendency to absorb pollutants from contaminated floodwaters, which necessitates their disposal as a hazardous waste." Because Muscle Wall is a mobile and reusable containment system, it can help control costs during the construction, drilling, and completion phases of oil and gas development programs. Muscle Wall has been designed and engineered for primary containment of fresh water as well as many types of secondary containment in this industry. Currently over 15 miles of Muscle Wall product are being utilized for primary and secondary containment in the oil and gas industry around the world.